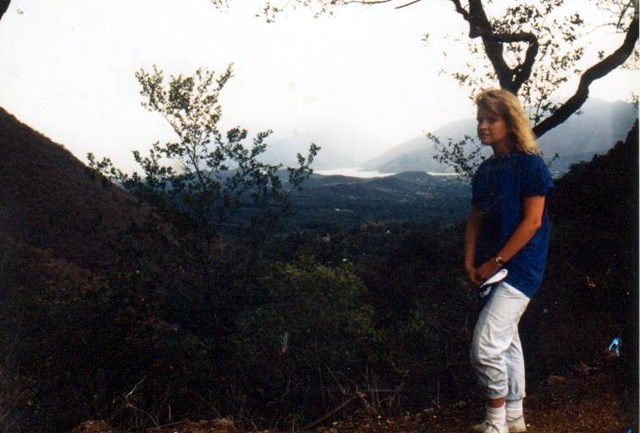 This picture of me on a mountain in Monterrey, Mexico in 1989 symbolizes so much of my life at the time when I was 16 years old. This was my first mission trip. God was drawing parts out of me that I never knew existed. My heart was fully alive. When I stood on this mountain right before a rainstorm, I looked across this valley, and a chapter in “The Lion, The Witch, and The Wardrobe” came to my mind. It was when Aslan and Peter looked over the valleys of Narnia below, and Asla n told Peter about how he was giving him all the land he could see to rule over. I felt like God was telling me that about my own life. He was showing me he had so much for me. He had a huge purpose and vision for my life. God broke my heart for the people of Mexico on that trip, and it changed me forever. Standing on this mountain literally changed the trajectory of my life. I am so, so thankful for what God did in me in Monterrey, Mexico in 1989.